We at MajorSweeps conduct our very own Sweepstakes. 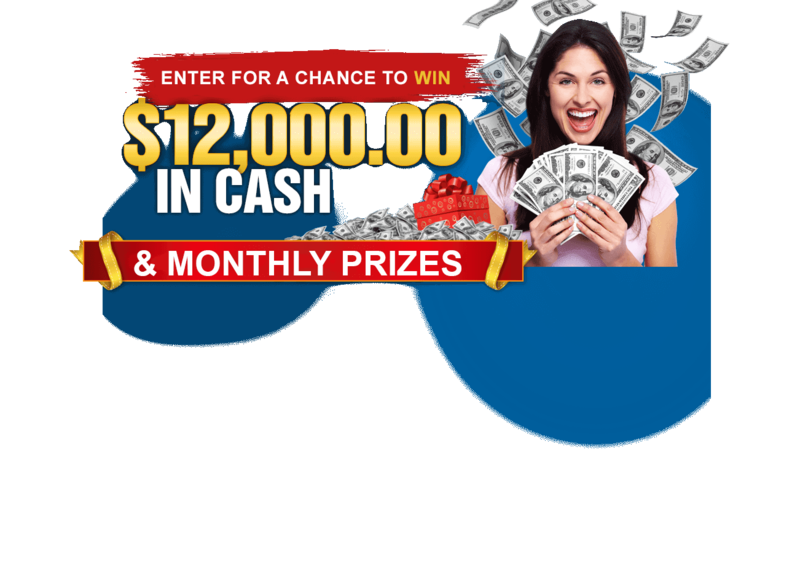 Our $12,000 grand prize is given out twice a year! Members are also presented with daily, weekly, and monthly sweepstakes opportunities directly from MajorSweeps and our partners throughout the year. Feeling lucky, sign up now! Please Close this box and re-verify you street address for security purposes. NO PURCHASE NECESSARY TO ENTER OR WIN. PURCHASE WILL NOT INCREASE THE ODDS OF WINNING. Sweepstakes are open only to legal residents of the United States, the District of Columbia, who are living in the United States and the District of Columbia and who are at least 18 years of age. Sweepstakes are void in FLORIDA, NEW YORK, PUERTO RICO and where otherwise prohibited by law. Winners are responsible for all taxes associated with prizes. Odds of winning depend on the number of entries received during the sweepstakes period. Illustrations do not imply endorsement by the manufacturers or owners of third party marks. For alternative method of entry, click here. Sweepstakes ends on 06/30/2019.